Telluride has the only free gondola public transportation system of its kind in North America. At the east end of Telluride, Bridal Veil Falls is Colorado’s tallest free-falling waterfall at 365 feet. Ski Magazine rates Telluride Ski Resort in the Top 10 ski resorts in North America. Conde Nast Readers rates Telluride Ski Resort #1 ski resort in North America for the last 2 years in a row. 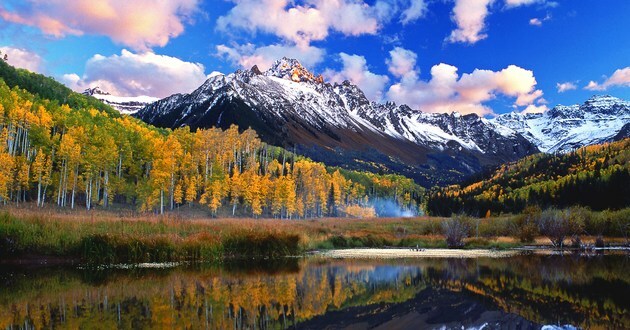 Conde Nast Readers rates Telluride, Colorado in the Top 10 “Best Small Towns in America”. Conde Nast Readers rates Telluride, Colorado in the Top 20 “America’s Best Cities for Foodies”. Telluride Helitrax is Colorado’s only helicopter ski company and has been in operation since 1982. Telluride was the first city in the world to have electric streetlights. Once called the “City of Lights,” the world’s first alternating current (AC) power plant was built here. Telluride Film Festival has premiered the last 4 out of 5 Academy award-winning movies. Olympic Silver Medalist Gus Kenworthy has roots in Telluride and a street dedicated to his name. Butch Cassidy robbed his first bank in Telluride on June 24, 1889, walking away with over $24,000. The Galloping Goose’s oldest bus, #101, runs on non-toxic, biodegradable, vegetable oil-based biodiesel fuel. There are no chain restaurants or shops in Telluride. The nearest stoplight is 45 miles away. For more information on Telluride, visit Telluride’s Visitor’s Center here. Autumn in Telluride is one of the most beautiful seasons anywhere in the Colorado region, delivering an exceptional Fall getaway. 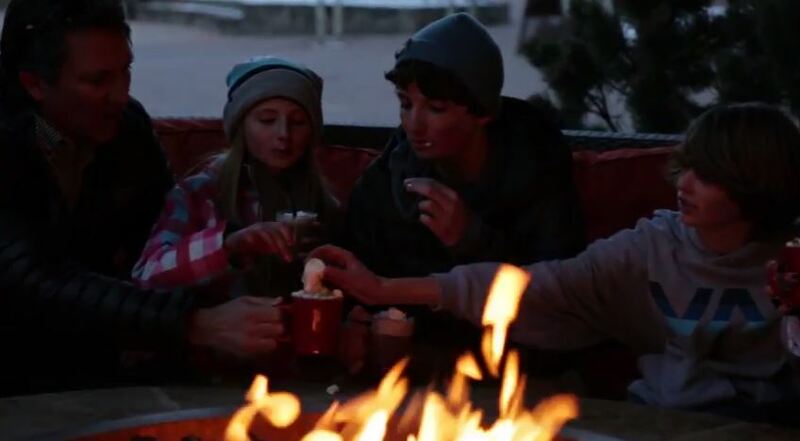 For more information on Telluride and to plan a trip, click Visit Telluride. To explore the opportunity of calling Telluride your “Home Away From Home”, contact us at 970.369.7700 and we will be happy to assist you in discovering the significant benefits and value of owning property in the Telluride Region. Tour this exceptional log, timber & stone estate set atop a 1.43 acre knoll-top site with panoramic views wrapping of the Telluride peaks, ski area and valley. A winding drive opens to a home with generous spaces and custom finishes that comfortably accommodate all. Browse the catalog for 221 Touchdown Drive here. For more information on 221 Touchdown Drive, click here. To visit Bill Fandel’s website Telluride Luxury Properties, click here. 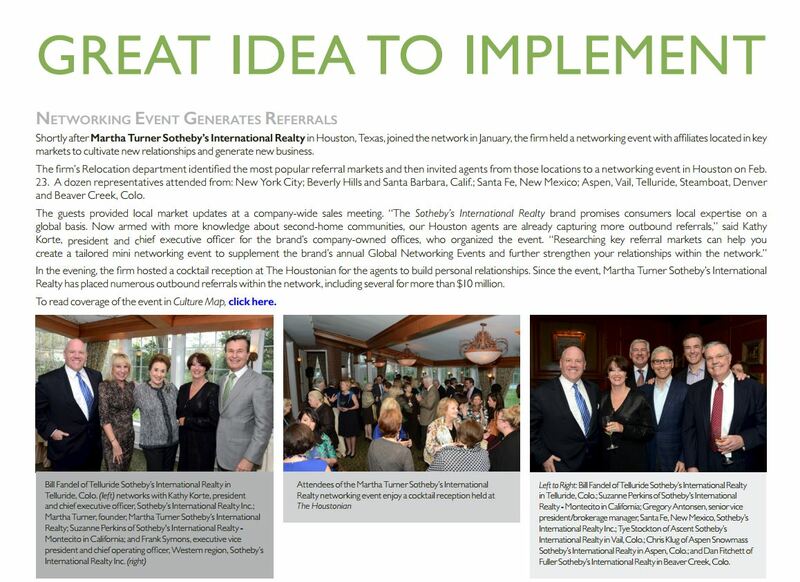 The latest news from Sotheby’s International Realty features Bill Fandel among the key market affiliates at the launch of Houston’s Martha Turner Sotheby’s International Realty. To read the full “Collections” update from Sotheby’s International Realty, click here. To visit TellurideLuxuryProperties.com, click here. Recently, sir.com surpassed 1 million visits in a single month for the first time in its history! July 2014 saw 1,042,043 visits to sir.com, which is a 15% increase from July 2013. Traffic to sir.com has been steadily trending upwards for the last six years, with the largest jump in traffic growth occurring over the last two years. The major contributors to this great achievement have been our overall growth as a brand with approximately 720 offices in 52 countries, our strategic marketing partnerships with the most significant media companies in the world and our continuous search engine optimization and advertising efforts that place sir.com in the top positions within search engine results. Visit Sotheby’s International Realty, SIR.com, here. 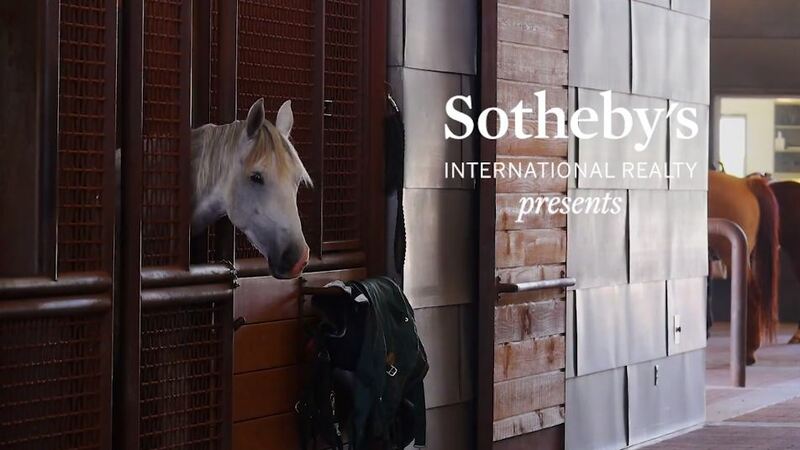 To watch “Extraordinary Angles inspired by Equestrian Living”, click here.